MarketJS designs and develops lead generation games for clients from around the world. Our solutions are cross-platform and tailor-made to your requirements. To view our mobile demo, type bit.ly/leadgen-demo in your iPhone, iPad, or Android device. What are lead generation games? 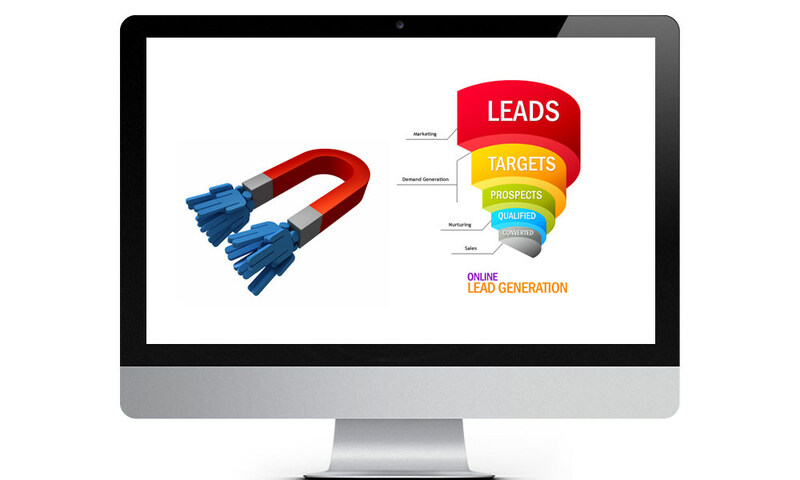 Lead generation games are games which contain systems that capture user data. During the course of the game, the user would be prompted with a screen that asks for important information. Upon successful submission of the information, a system will process this and present the compiled data (leads) in an easy to understand format. The compiled leads are then used for follow-up marketing, newsletter updates, research studies, etc. 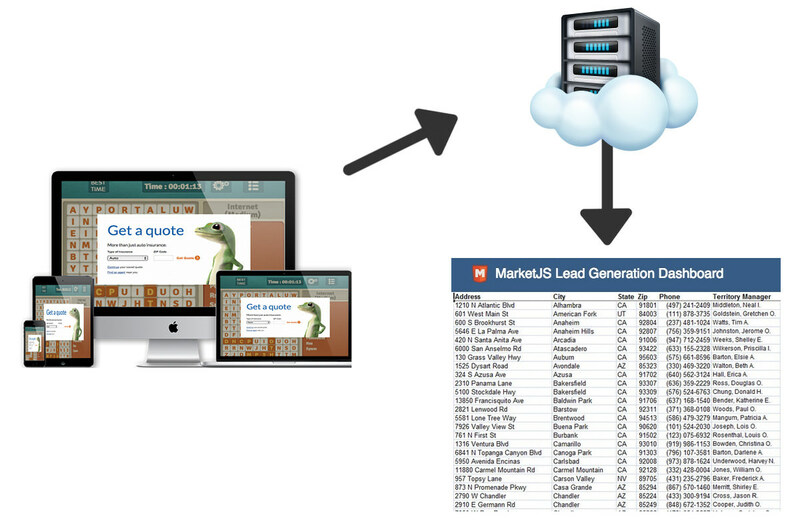 MarketJS provides an end-to-end solution to your lead generation needs. Our Lead Generation System (LGS) consists of the content (the games), the customized lead generation form, as well as a CMS to view/export the data into other forms. In collaboration with Hyundai and FOX Sports Australia, we built a competition-based soccer game for TV viewers. The player who scores the highest wins a brand new car. The goal was to drive awareness and generate leads from TV viewers who're interested in the new Hyundai i30. We received over 100k entries within a 72 hour period. We worked with SMA, a large solar technology company based in the US and Europe. By leveraging our existing game Santa Claus Chimney Challenge, we integrated SMA's brand guidelines complete with a leadgen system. The game was distributed to suppliers/clients re-engage with potential sales prospects for the coming fiscal year. Our data capture form can be customized to the look and feel of your brand. We can capture the first name, last name, zip code, age, phone number, language, browser and more data properties. The form can also be customized to reward users with items. Eg: 'enter you email' to receive a free branded coffee drink. We can also configure the form to reward users with in-game items, such as additional coins and player power-ups. The form can be shown at any point during the game (eg: start game, end game, level completion) and more. Any form of customization is possible. We can also integrate 3rd party forms, such as Constant Contact, Mailchimp, AWeber and more. Once the user has submitted the data, our system will compile all the relevant details and crunch some numbers in the cloud. All clients receive access to the dashboard, where they can view the incoming leads in a tabular format. The leads can also be exported into other formats, such as JSON, CSV, etc. To start, have a look at our ready-made games. Let us know which games you like, and we'll come back with a price estimate of the game, complete with the Lead Generation System (LGS). For an additional fee, we're also able to customize the games to include the look and feel of your brand. Examples include a custom splash screen and logos of your brand, inserted within the game. Click here to browse our catalog of ready-made games. 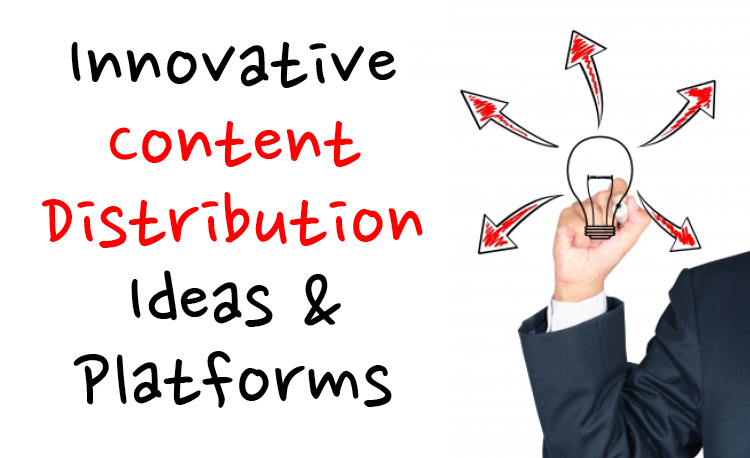 How are lead generation games distributed? There are many ways to distribute lead generation games. 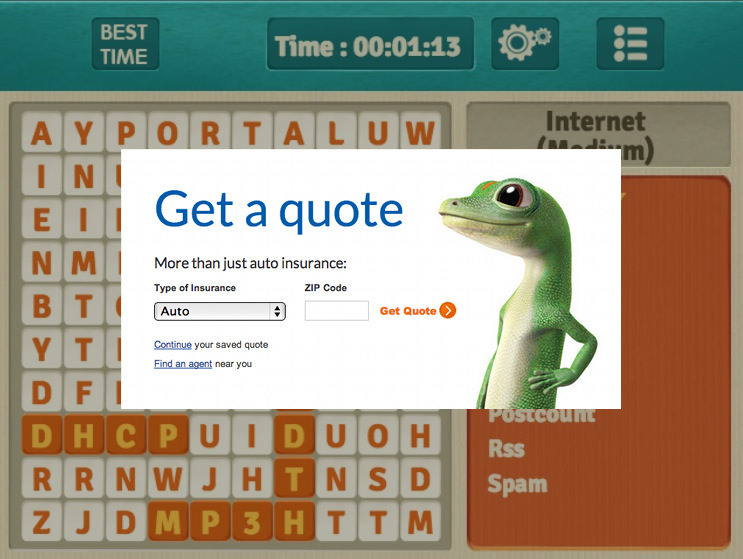 One way is to build landing pages (marketing pages), which contain the embedded game. The page would be responsively designed to fit the form factor of the consumer's devices. Another great way is to distribute shortened web links via social networks, such as Facebook, Twitter and Instagram. These links, upon clicked by the consumer, will load the lead generation games immediately, giving instant brand engagement. No slow downloads via the App Store, or Google Play. Just instantaneous gaming. Yet another way is to package the lead generation games into native app formats, to be distributed via App Store, Google Play, Amazon App Store and Windows Phone App Store. Do lead generation games cost a lot? 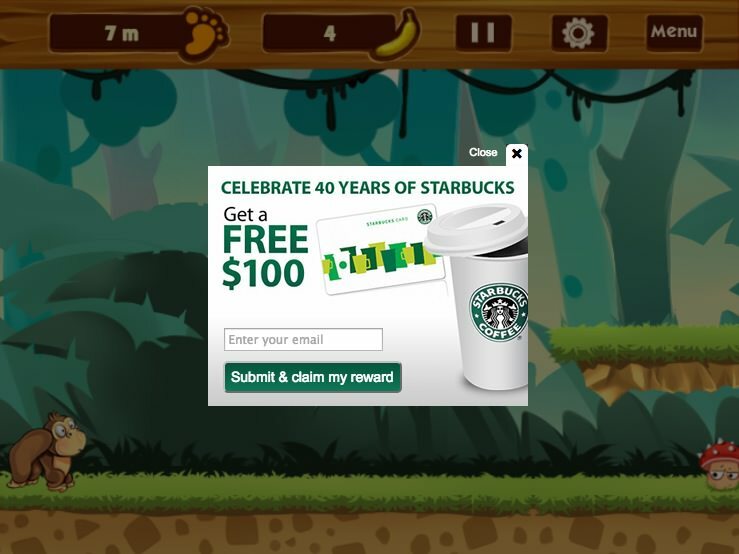 Our company, MarketJS has done a lot of technical innovation to reduce the cost of developing lead generation games. We understand that different clients come with different budgets in mind. We're able to cater to your budget expectations, and still maintain a great level of polish and quality. For standard projects, we're able to offer quotes below 10k USD for the entire Lead Generation System (LGS). This includes the game, the lead capture form, the cloud processing, as well as the CMS to view/export the data. Our lead generation games are HTML5-based, which means they work on the web browsers of all modern smartphones, tablets, desktop PCs and laptops. We cover iPhone, iPad, Android, Windows Phone, Mac, Windows PC and more. We have a one-size-fits-all approach when it comes to developing our games. This has worked very well for our clients. If you require a native app format, we can also easily convert our games into native iOS, Android and Windows phone formats. 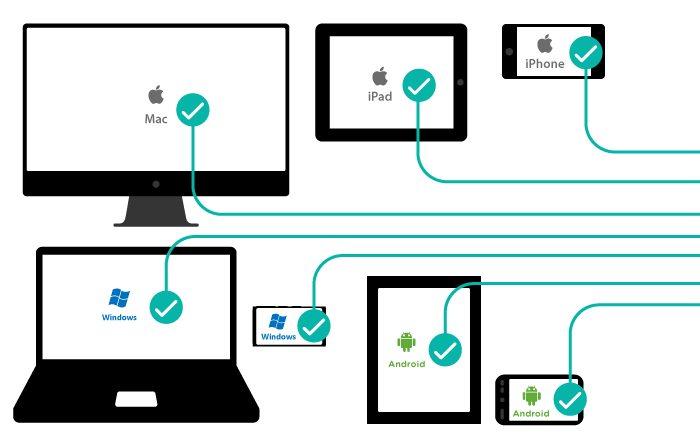 Our technology allows us to easily cater to multiple platforms at once. What kind of leads do you plan to generate? Which game from the MarketJS catalog, are you interested in? How soon do you need it completed? I need lead generation games I need custom-made lead generation games I'm doing some research. Can you help me?